Come join us in praising God for the Winnebago Lutheran Academy Graduating Class of 2012 on May 27, 2012 at 2:30 PM (UTC-5). 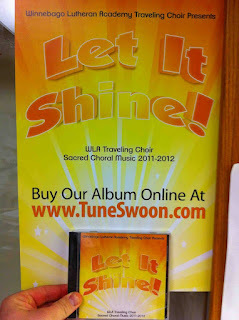 "Let It Shine" CD Arrived Today! Traveling Choir's new CD arrived in the mail today! 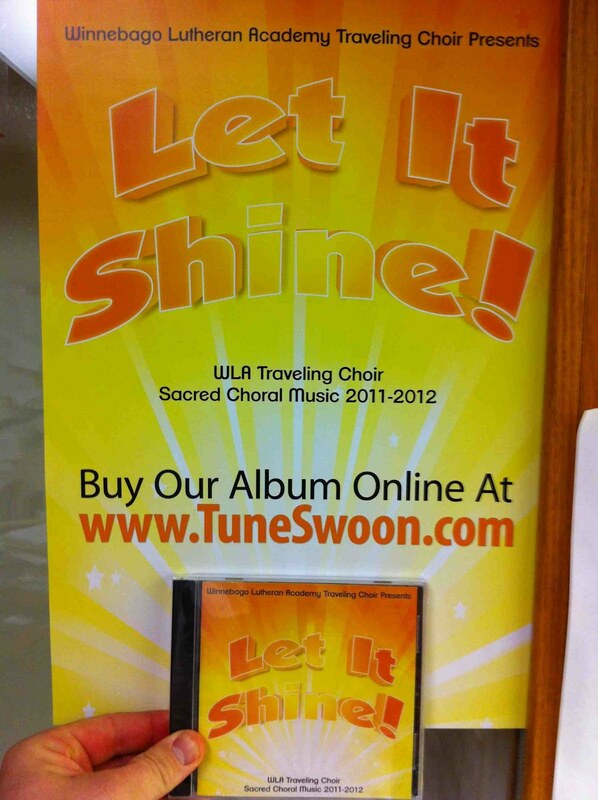 The title, "Let It Shine" comes from the song, "This little light of mine, I'm going to LET IT SHINE," which is exactly what TC has done this school year in 23 churches of the WLA association. They have sung God's praises in a church service which was based on the WLA theme passage "Now fear the LORD and serve him with all faithfulness." (Joshua 24:14). You can hear the final church service here and view the bulletin here. CDs are available from me for $20 and a digital download is also available for $16.99 on TuneSwoon.com. I still have a couple CDs from last year ("By Faith") and the digital download of "By Faith" is always available from TuneSwoon.com as well. Thanks to Aaron Green and Chris Ashwood of Legacy Productions for their fine work for a second year in a row!